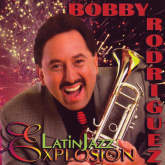 Latin legend and Grammy nominated artist Dr. Bobby Rodriguez is a trumpeter, dynamic leader, charismatic performer/entertainer, gifted composer/arranger, author, and an award-winning educator. This Doctor of Music is a role model for young people who also come from humble beginnings. Born and raised in East Los Angeles he began studying trumpet at age ten. After serving in the US Army, he began his college education. He returned to school after twenty-one years to complete his Bachelor's degree in 1998 at California State University, Long Beach, his Master's degree in 2001 at California State University, Los Angeles, and his Doctorate in 2006 at the University of California, Los Angeles. "If Dr. Bobby can do it, so can you," is his mantra. Presently he is director of LatinJazz ensembles and jazz trumpet at UCLA, UC Irvine, and the LatinJazz Ensemble at Pasadena City College. His dedication to music has allowed him to perform and record with an illustrious array of world-class musicians including Quincy Jones, Diana Krall, Lalo Schifrin, Christina Aguilera, Arturo Sandoval, Kenny Burrell, Tina Turner, Wynton Marsalis, Tito Puente, Ray Charles, Herbie Hancock, Chaka Kahn, Willie Bobo, Maurice White (Earth, Wind & Fire), Poncho Sanchez, The Emotions, the Clayton/Hamilton Orchestra, Buddy Collette, Gerald Wilson, Don Ellis, Louie Bellson, The Brothers Johnson and many others. Rodriguez also spent four years touring on the "Love Boat," traveling around the world. 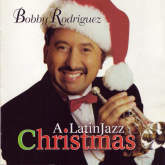 His latest CD release is "Celebration" featuring his 23 piece LatinJazz Orchestra. 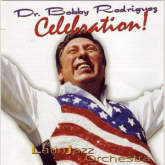 This recording is filled with 10 of Dr. Bobby's originals and 3 great cover songs. As the Doctor says,"this is a real party record." 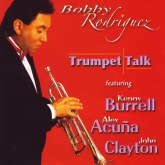 Other CD's include "Trumpet Talk" featuring Kenny Burrell and Alex Acuña, "LatinJazz Romance" and his Grammy nominated "LatinJazz Explosion." 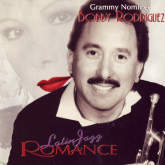 He has won numerous awards including the Los Angeles New Times Salsa/Tropical Artist of the Year, Lifetime Achievement Award in Jazz from Drew University, KLON's Best New Latin Jazz Artist and "Jazz Educator of the Year." Rodriguez has earned a gold and three platinum records, produced five of his own recordings and has produced countless recordings for other artists. 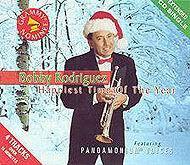 CD SINGLE - HAPPIEST TIME of the YEAR: Bobby Rodriguez (trumpet, flugelhorn); Pandamonium Players (Abraham Laboriel, bass; Alex Acuna, drums & percussion; Barry Pohlman, guitar; Mike Watts; Keyboards); Pandamonium Voices with solos by Grammy® winners Alan Paul and Darlene Koldenhoven. 4 Tracks: Pop Version with Vocals; Ballad Version with Vocals; Pop Version Instrumental; Ballad Version Instrumental.